Caltech scholars and students are developing their skills as scientists every day—but they also are honing their skills as academic writers. To this end, the Hixon Writing Center provides collaborative and interactive one-to-one tutoring sessions for students who wish to improve their writing, as well as consultation and feedback for faculty interested in developing their use of student writing in the classroom. It also conducts presentations and workshops, and holds events related to academic writing. Led by Susanne Hall, the Campus Writing Coordinator, the Center employs both undergraduate peer tutors and professional writing specialists. In 2015, the Center received support from the Moore-Hufstedler Fund to create a series of videos that aim to introduce incoming freshmen to college writing. 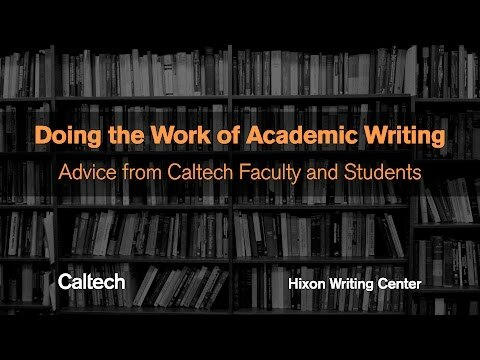 In addition to practical advice about techniques and the writing process, the videos also feature brief interviews with faculty and students about their experiences with academic writing. "Scientists and engineers know that writing and communication are fundamental to their work and that there are many varied occasions for writing in their fields," Hall says. "These videos introduce our incoming students to this reality and then offer them concrete instructional support as they transition to college writing. 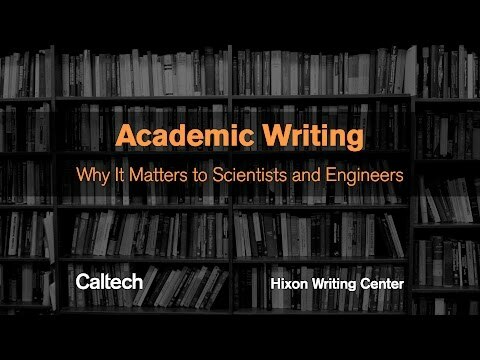 The videos address the challenges we know many students face, so putting this information online is one more way we hope to support Caltech students' continued growth as writers during their time here."